Best friend ever? Bullies love to hate Clod. Not just because he’s bigger, clumsier, and uglier than his classmates - he’s also the only student in his school without magic. In a world where all magic is possible and everyone else is born with great gifts to do amazing things, Clod is alone. Living with his mum in a broken-down cottage on barely enough, the only thing Clod has to play with is the clay she occasionally brings him. To call his life bleak would be an understatement. I have read Mr. Pedersen’s tales of Angst. I adore the series. 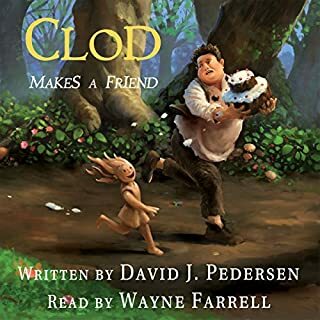 Clod Makes a Friend is a different arena and I went into listening to Clod with an open and excited mind. Everyone loves a good story, and to have the story told in a fashion that makes you jump hither and fro in your heart at the narrator pulls you this way and that is even more special. Mr. Wayne Farrell was superb in his portrayal of Clod, Ada along with the other characters. Believable from the start, consistent throughout and full of emotion, warmth and understanding to the end. Clod is easily identified by anyone that has grown up. Who hasn’t had heartache, joy, bully(ies) and hopefully a fierce friend in their young life. I was able to identify so clearly with the characters Mr. Pedersen has written that I was near to tears in the first chapter. I am not usually weepy but the clearness, emotions and empathy that Clod and the other characters were created and placed with such care on the page is evident. In Mr. Pedersen’s works, I have no doubt he falls in love, befriends and would fight to the death for his characters. Mr. Pedersen has out done his previous works with Clod, Ada and the others in this tale. Often in a review, I drone on about the story and this and that…. Not here, not with this tale. For this is a tale. One to be told around a campfire, over a series of evening at bedtime for wee ones or as two people sit in a park enjoying the day. I implore you to listen to this tale as woven by Mr. Pedersen, sung epically by Mr. Farrell, as you will have your heart touched, your mind entertained and will make a new best friend in Ada. There are ups, downs a few sideways but in the end. You will be all the better for hearing the tale of Clod Makes a Friend. Edinburgh, 1844. Beautiful Aileana Kameron only looks the part of an aristocratic young lady. In fact, she's spent the year since her mother died developing her ability to sense the presence of Sithichean, a faery race bent on slaughtering humans. She has a secret mission: to destroy the faery who murdered her mother. But when she learns she's a Falconer, the last in a line of female warriors and the sole hope of preventing a powerful faery population from massacring all of humanity, her quest for revenge gets a whole lot more complicated. Fabulous!! Why isn't Book 2 on Audible?!! Derrick was the voice of reason when not drunk on honey. His comic relief and genuine feeling for Aileana gave the book a nice balance. Ms. Duerden's accent is perfectly what I imagine a Scottish accent to be like. The fire and brimstone that was inside Aileana came through each breath and inflection of Ms. Duerden's narration. If I had the time, I could have easily sat down and ripped through the entire book. I had seen some marketing for The Falconer and popped over to Amazon and Goodreads to get an idea of what it was about, as we all do. I saw the MC as an 18 year old and I do like YA, wasn't too sure that the book would fit in that genre or not. Through the years I have seen young MC have angst, confusion and typical teenage stuff or the exact opposite. The MC although 18 seems like they have the wisdom and knowledge of a 50 year old who can solve anything without a big “S” on their chest. So I shelved it to look at later. I saw an author on twitter talking very favorably about it. Being that the author also writes in the genre and is well thought of for her work I decided that was the tipping point and bought The Falconer. I bought the audiobook as well as the kindle. 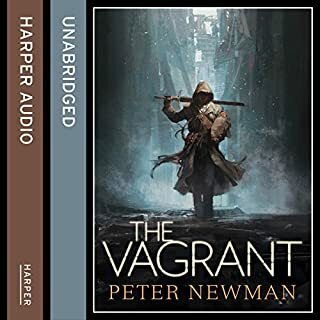 I have a bit of commute so audiobook but I also enjoy reading to get a better experience of the writing, seeing how it flows and to allow the work to settle in visually. The book takes place in Scotland, Edinburgh to be exact. I have very little knowledge of the Fae and even less of the Fae lore in Scotland. The names were beyond me to pronounce correctly so I was pleased to have the audiobook so as to her their names pronounce properly. Susan Duerden narrates The Falconer and it a British actress. 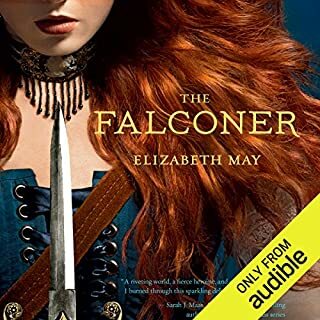 I do not think anyone could have narrated The Falconer better than she. The rich Scottish accent help accentuate the environment and overall feel of the book. I found myself looking forward to the ride home just to hear the melodic tones of the narrator’s Scottish lilt. The MC turned out to not meet any of my possible expectations. She was neither a pouty helpless teen nor a wizened 50 year old trapped in an eighteen year old’s body. Aileana Kamerson was a young lady trying her hardest to keep things together after the death of her mother. Learning new skills with her entire motivation being revenge. A revenge that was consuming and providing her a direction in her focus that few would ever achieve in their life time. Throughout the book her and the other characters are developed nicely and not too much is given away about any one character with enough learned by the end of the book to be satisfied with who and what they are about. The plot is interspersed with action here, explanation there but nothing that was frivolous that didn’t carry on the story and keep the pace consistent with the occasional adrenaline rush as Aileana battles some vicious Fae. The battles are not one sided and Aileana gets her pride handed to her on more than one occasion. The buildup with tension staying between characters but honestly when do humans ever work things out before the next turmoil starts up. The pace of the plot didn’t falter except towards the last few chapters. I would have given this a 5 star rating but the pace changes in the last few chapters. The fight scene become a bit anorexic along with a rush to the ending that was a bit awkward. Even with that in mind The Falconer is a wonderful read/listen that I recommend to anyone. Treat yourself and get the audiobook. The enhancement of the narration is a treat indeed. I am looking forward to the next book and hoping Ms. May uses the same narrator.